Why would I need self storage in Salem, OR? There are a variety of reasons why you might need self-storage in Salem, OR. How much is a storage unit in Salem, OR? The cheapest storage unit in Salem, OR is $62.00 per month. What size storage units do you have available in Salem, OR? In Salem, OR we have sizes that range from 5'x5' to 15'x20' to suit your storage needs. How much is it for a 5'x5' storage unit in Salem, OR? The cheapest 5'x5' storage unit in Salem, OR is $73.00 per month. 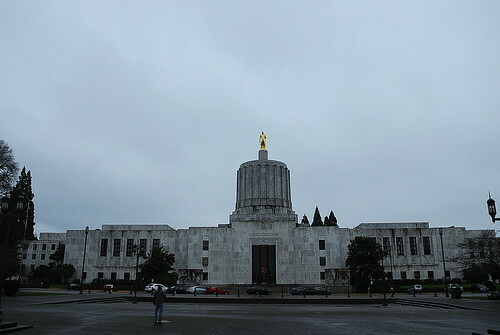 Located in the Willamette Valley, Salem is Oregon's capital. The city has a number of historic sites, including the 1870 Reed Opera House, 1878 Bush House Museum, and the Deepwood Museum and Gardens. The Willamette River runs through Salem, and wildlife refuges, forests and natural aquatic areas are plentiful. Thanks to a moderate climate, the area is rich in agriculture and known for producing blueberries, hazelnuts, tulips and Christmas trees. Salem offers a number of attractions, ranging from the Gilbert House Children's Museum in Salem's Riverfront Park to several breweries, that appeal to varied ages and interests. Salem has large agricultural and food-processing sectors, and Kettle Foods, NORPAC Foods and Oregon Fruit Products all maintaining large operations in the city. The local economy has grown increasingly diverse in recent decades, attracting several high-tech manufacturing plants and a variety of jobs. Although Portland is nearly an hour away, commuting to the city for work is always an option. However, you'll find that there are a number of jobs to choose from in Salem, with the largest employers including the state of Oregon, local school districts and Salem Health. Faye Wright is a small neighborhood in southwest Salem. It has several different public parks that provide plenty of space to enjoy the city's sunny days. Lansing is known for its active neighborhood association, which promotes safety, local events and community spaces. You can meet your neighbors at any one of many community gatherings, including holiday events and celebratory block parties. Keizer is a popular choice for people who commute to Portland, and it has plenty of upscale areas. Public golf courses, private neighborhood lakes and local amenities are just a few of its desirable aspects. Salem's downtown is very pedestrian-friendly, with a variety of shops, cafes and restaurants lining its central streets. It's also home to one of the city's largest parks, Riverfront Park, the setting for many special events, including the holiday tree lighting, outdoor movie screenings and the annual Fourth of July celebration. The Salem-Keizer Public Schools serves the public schools, and several of its schools receive top marks for academic achievement. You can also enroll your child in one of the local private schools; there are several faith-based campuses to choose from. There are a few small colleges and universities in the area, with many more in nearby Portland. Utilities: Salem Electric is the local power company, and the city manages water and sewer services. Garbage and Recycling: Trash and recyclables are collected curbside, and your specific neighborhood determines your pick-up schedule. Transportation: Cherriots facilitates public transit in and around Salem and provides easy connections to Portland. The median home price in Salem is higher than the national average, but more affordable than in nearby Portland. There are a variety of single-family homes and apartments in Salem, so it shouldn't be too difficult to find something to fit your needs and budget. Our lowest priced units in Salem, OR average $67.50 per month. 221 people have reserved units in Salem, OR in the past 30 days. There are 2 locations within Salem, OR's city limits.